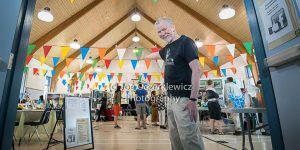 Each Spring the RA Steen Community Centre hosts the Envision Festival of the Arts, showcasing all forms of art, from painting, sculpting, writing, photography, film, dance and more. The mission of the festival is to celebrate the incredible amount of artistic talent that lives and works in the Wolseley-West Broadway community. Many artists and authors will be selling their work, there will be book readings, a cafe and some pop -up artists that push the boundaries of what is art. The deadline to submit an application as an artist is fast approaching. Visit their website before April 12, 2019 to apply.